A free introductory computer programming textbook that uses Java as the language of instruction. It is suitable for use in an introductory programming course and for people who are trying to learn programming on their own. 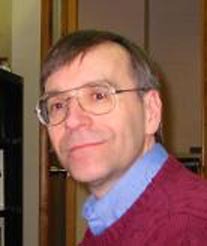 David J. Eck wrote:INTRODUCTION TO PROGRAMMING USING JAVA is a free introductory computer programming textbook that uses Java as the language of instruction. It is suitable for use in an introductory programming course and for people who are trying to learn programming on their own. There are no prerequisites beyond a general familiarity with the ideas of computers and programs. There is enough material for a full year of college-level programming. Chapters 1 through 7 can be used as a textbook in a one-semester college-level course or in a year-long high school course. The remaining chapters can be covered in a second course. 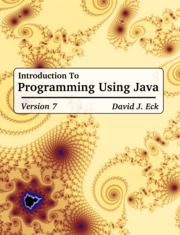 The Seventh Edition of the book covers "Java 7." The most recent version of Java is 8, but this book has only a few very short mentions of the new features in Java 8.